Immerse yourself in nature and traditions of Sorrento, thanks to a Sorrento family food tour from Amalfi Coast. You will do an interesting visit to a factory that produces extra virgin olive oil. You will be able to prepare and taste traditional food of Sorrento with a local family, and see how homemade ice cream is made. You will spend a fantastic day on the hills of Sorrento, discovering the secrets of an actual family in Sorrento. Our food tour begins along the Amalfi Coast (from Positano, Amalfi, Ravello, or from any other place of the Coast), where one of our private drivers will pick you up at 8:30 a.m. You will visit the beautiful Sorrento and then head over to an olive oil factory. At the factory, your private driver will explain the different phases of oil production. 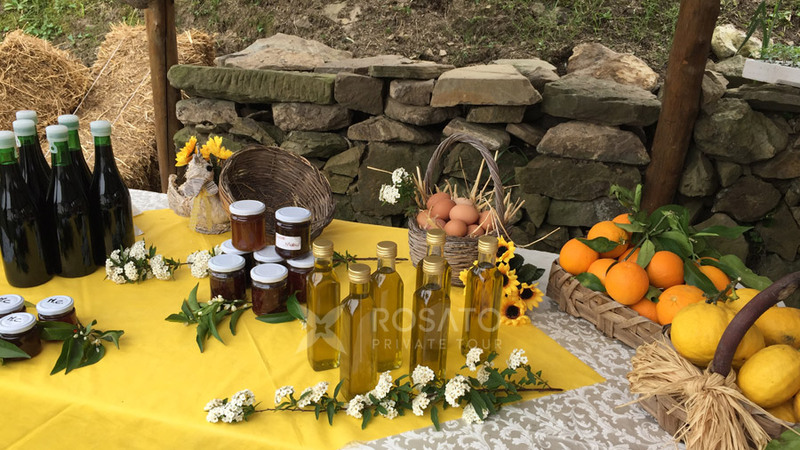 At the end of the tour, you will be able to try the various types of oil including extra virgin olive oil, lemon olive oil, orange olive oil and many others. The Sorrento family food tour continues at a farm, to visit a typical Italian family. After drinking a welcome drink, you will have a guided tour where they will explain how animals are raised and how vegetables are produced. Together with the family, you will harvest the necessary products to make lunch. You will be rolling pizza dough or potato dumplings dough. 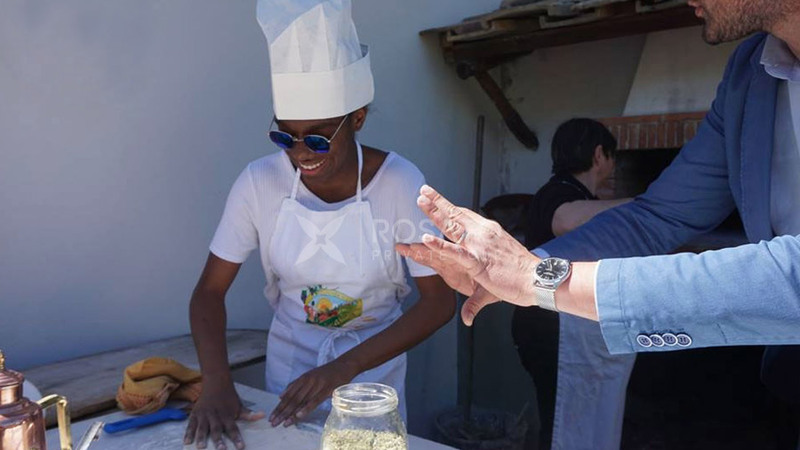 After cooking, you will eat together with the Italian family, tasting the local products, such as mozzarella, salami (Italian seasoned sausage) and good local wine. After lunch you’ll taste some excellent homemade limoncello and spend a few hours relaxing surrounded by nature. The Sorrento family food tour comes to an end, but before returning to the Amalfi Coast, you will visit an ice cream shop in Sorrento, where you will discover and taste “gelato”, typical Italian excellence, or if you prefer you can visit Sorrento to shop or stroll along the alleys of the historical centre. 8 hours of flavours, relaxation and culinary discoveries, that will make you appreciate and love our amazing land even more.